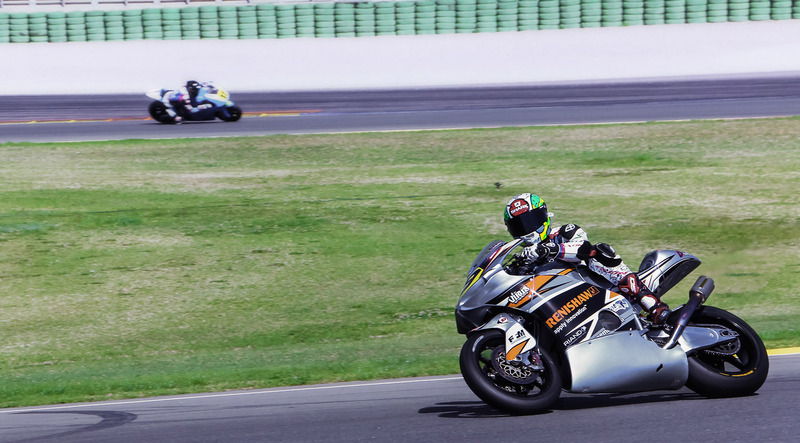 French Moto2 team TransFIORmers won its first race at the CEV Repsol European Championship in Barcelona. The team used a revolutionary front suspension system including an additively manufactured (3D printed) titanium wishbone produced using Renishaw’s AM250 manufacturing system. The component is a perfect example of effective part consolidation, with a weight saving of 600 g compared to the original welded steel component. The TransFIORmers team worked in partnership with I3D Concept to design and manufacture a unique front suspension system inspired by maverick race bike designer, Claude Fior. The system uses a design radically different from any other suspension system used in Moto2. The system bypasses traditional weight transfer phenomenon and the problems associated with ‘brake dive’. The Optical Control System of Renishaw’s AM250 additive manufacturing system enabled accurate control of laser steering, which enhanced precision, definition of features and surface finish.